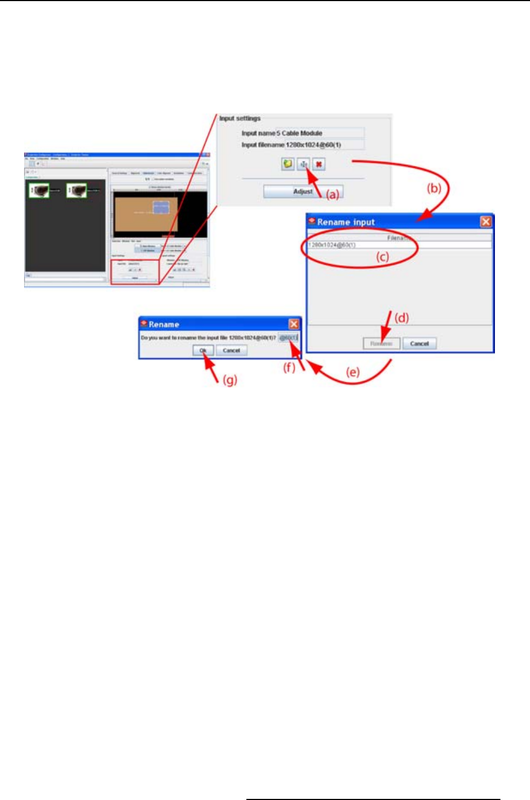 An Input dialog box opens (e). The current name is ﬁlled out. 3. Select the current name (f) and enter a new name. The name is changed into the new name. 2. Click on File and select Rename (c). The Rename input dialog box opens (d). 3. Select the ﬁle to rename from the list (e) and click Rename (f). An Input dialog box opens. The current name is ﬁlled out (g). 4. Select the current name (h) and enter a new name.